"There has been no more than one goal between the sides in each of the previous five clashes"
Premiership champions in-waiting Celtic aim to take a step closer to completing what would be a historic treble-treble, continuing their dominance of football north of the border when battling Aberdeen at Hampden in the semi-final of the Scottish Cup on Sunday. This will be the fifth meeting of the sides this season and second at the national stadium following Celtic's narrow 1-0 win over The Dons in the final of the League Cup late last year. Ryan Christie scored the winning goal that day and Betfair traders predict a repeat, although there's more value in this one than punters may expect. Since Brendan Rodgers' move to Leicester City, Celtic have turned to former player and manager Neil Lennon and the Northern Irishman has done a solid job in protecting what his fellow countryman had built at Parkhead. 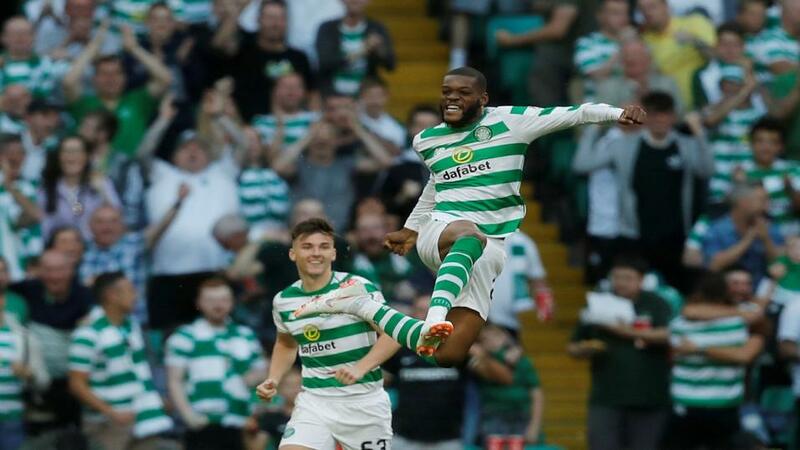 The Hoops already have the League Cup in the bank and are well on their way to securing another Scottish Premiership title, enjoying an 11-point advantage over Rangers. They were less than impressive on league duty last time out when dropping two points at home to lowly Livingston, an opponent who are ninth following the split. Despite dominating that match, ending with 73% of the possession and 18 shots at goal, The Bhoys were wasteful in front of their own fans. It's worth noting the league leaders have kept a clean-sheet in each of their last two and conceded just one goal in the six games played since Lennon took charge. Aberdeen gifted their fans another trip to Hampden by eliminating Rangers at Ibrox in the quarter-finals, shocking the majority of those packed into the Govan venue with goals from McGinn and McLennan. The victors broke the deadlock inside three minutes that evening and never looked in trouble of losing the replay from there, Derek McInnes crediting his defence for a determined showing. A solid backline will be key to victory on Sunday. Since beating Rangers, The Dons have drawn with Livingston and lost at Tynecastle in March, before responding to hammer Motherwell and Dundee in their two previous starts this month. They kept a clean-sheet last weekend, beating relegation-threatened Dundee 2-0 thanks to second-half double from Cosgrove, the first coming from the penalty spot on the hour mark after Callum Moore bundled over Lewis Ferguson in the box. The head-to-head scores between Celtic and Aberdeen this season stand at 3-0-1 in the Hoops favour, with the aggregate numbers showing Celtic 6-3 Aberdeen. That would suggest the cup holders have been dominant, but that hasn't been the case with a 4-3 win responsible for the bulk of those goals. There has been no more than one goal between the sides in each of the previous five clashes and that run can be traced back to May of last year. That goes some way to explaining why Celtic are favourites to win again but the betting remains interesting. Betfair Exchange users can get a handy [1.63] on Celtic, with Aberdeen trading . The pair fought out a goalless finish last month in the city and another share is worth thinking about at [3.9]. The latter should attract bits and pieces of attention. When flicking through past meetings of these sides we find this fixture has produced fewer than three goals in five of the last six. That includes the recent 0-0 and the 1-0 Celtic win in the final of the League Cup in December. Under 2.5 goals again here appeals at [1.78], over 2.5 yours at [1.89]. Followers of the trends will also be intrigued to learn at least one of these sides has failed to find the net in seven of their last eight meetings, going back to October 2017. Aberdeen won to nil last time out and Celtic's defensive record under Lennon is watertight. Back no in the both teams to score market at 4/5 on the Betfair Sportsbook, or Celtic to win to nil at 7/5. The favourites have won 1-0 in three of five vs Aberdeen and a repeat may be worth an interest bet at 5/1.